Today I will be sharing the Aloe Vera Ice Scrub Treatment by DA Hairdressing with you. 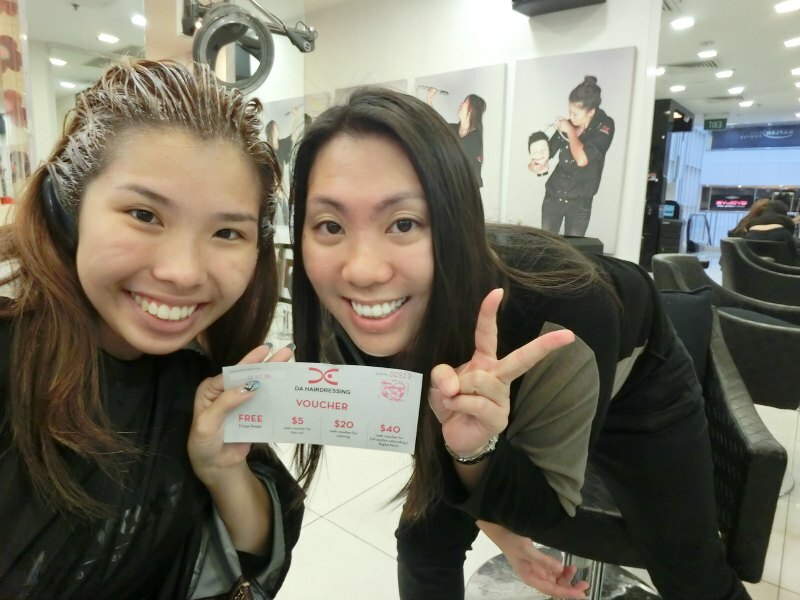 But all thanks to DA Hairdressing for always being so affordable for young adults like us! 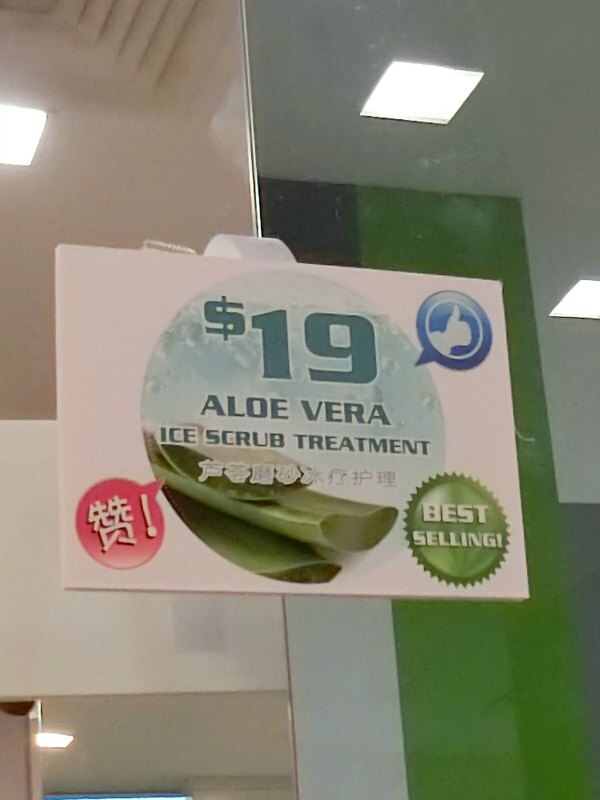 Just only $19 and you get to enjoy Aloe Vera Ice Scrub Treatment to pamper yourself! Today’s stylist is Takashi. He is Felicia’s favourite stylist also mine too. But I have too many favourites. 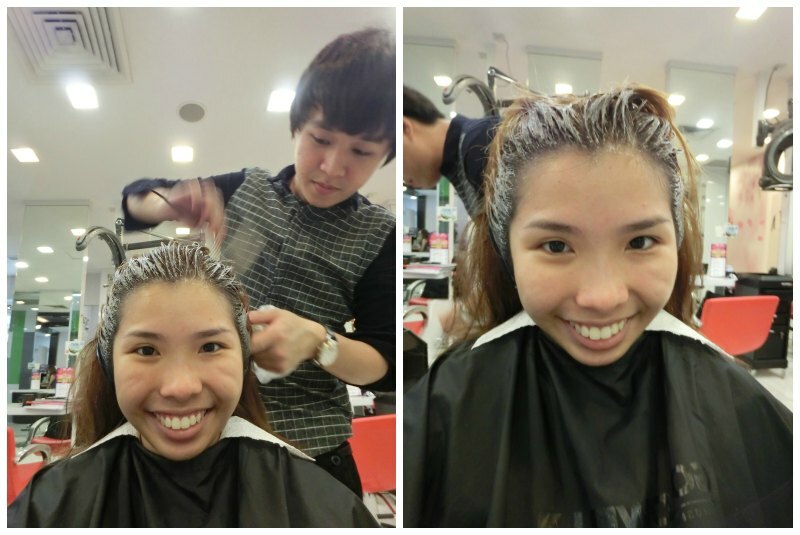 So I will say, he is one of the best hair stylist I would recommend in PoMo Outlet! First he will touch up my black hair roots. Actually I don’t find it obvious but Joanne and Takashi insist I should touch up if not they will feel uncomfortable for my making my hair perfect! 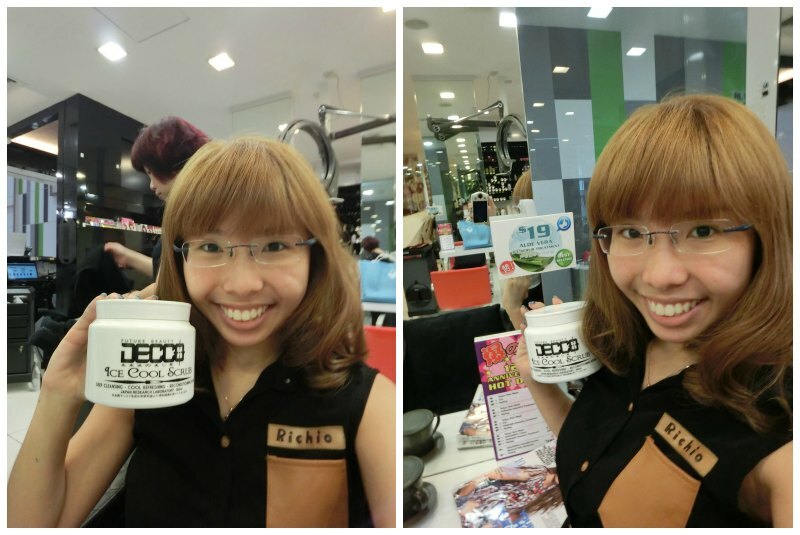 Today’s special guest is Bianca Bestie :) She actually got a voucher through the goodie bag at g.Spa celebration. Bianca’s stylist of the day is Asako. 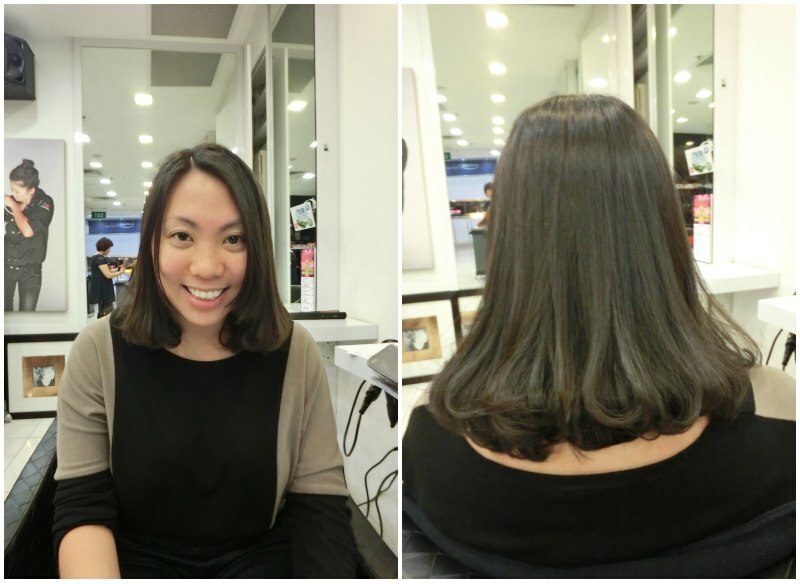 Asako is a very experienced Shanghai top hair stylist. DA actually invited her over all the way here! Bianca had some of her split ends snipped off. 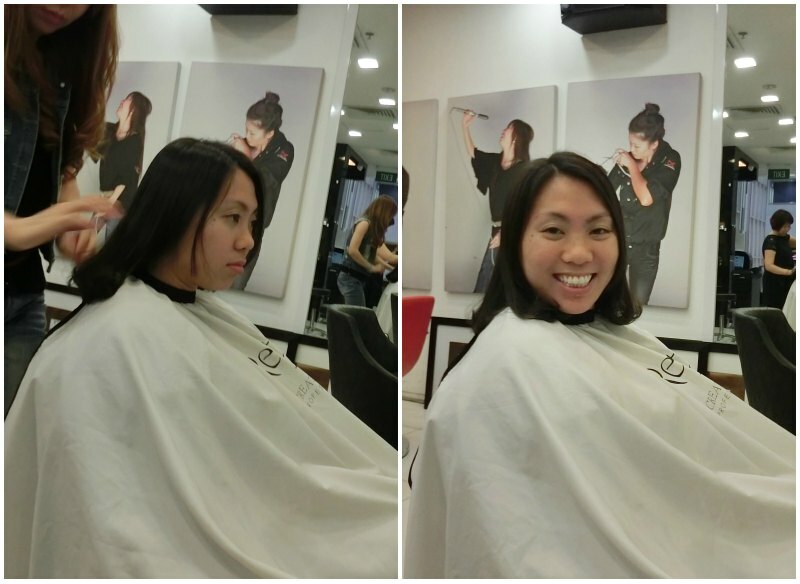 To give herself a more feminine look and she said she felt hot so hence the cut. While I was washing my hair, Joanne actually helped me to apply the Aloe Vera Treatment but I was too relaxed to even snap a photo. So sorry guys, no photos. 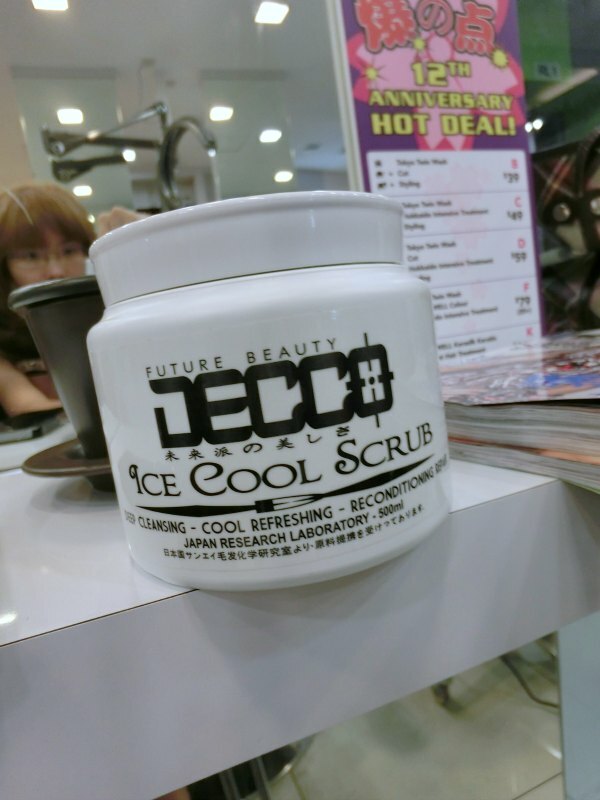 But the treatment is cooling but not as cooling as the Hokkaido ones but it’s very soothing for sensitive scalp. But not too drying for dry scalp too. I feel it the cheaper alternative for the Hokkaido treatment. Thus I recommend it to all!!! This is Bianca after her cut. Look at her, she is so happy with her cut & style. I like her curls. Only this length then can do this curl bah… Very nice and sweet :) But I think she will look better if she highlight it, but due to time constraint, I will ask her highlight the next time! This is the Aloe Vera Ice Cook Scrub. It’s from Japan Research Laboratory. Lastly Joanne will help me with the styling. 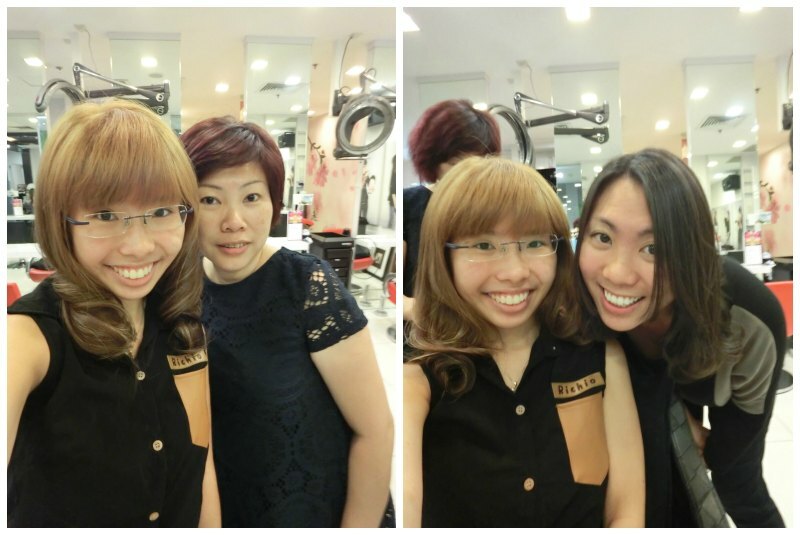 I asked for a big natural curl this time but lasting one cause I need to tahan till morning for the 933 Weekend Party! Lols. Lazy to wake up tomorrow morning to wash and style my hair mah. Thanks DA Hairdressing for introducing this Aloe Vera Treatment to me. My hair feels conditioned and so soft with no tangles! Now is time for selfie! Thanks Joanne for your warm hospitality! I always feel very pampered at DA Hairdressing, always have so many stylists to serve me! What I feel about the treatment? Personally I feel the treatment is really affordable for girls at my age cause it’s just $19, you get a professional to wash your hair, blow dry your hair and style your hair. For those who has events, you can come by in the morning and get this treatment after which you get a nice pretty styled hair to go to the ball or event! This is what I do for most of the events. 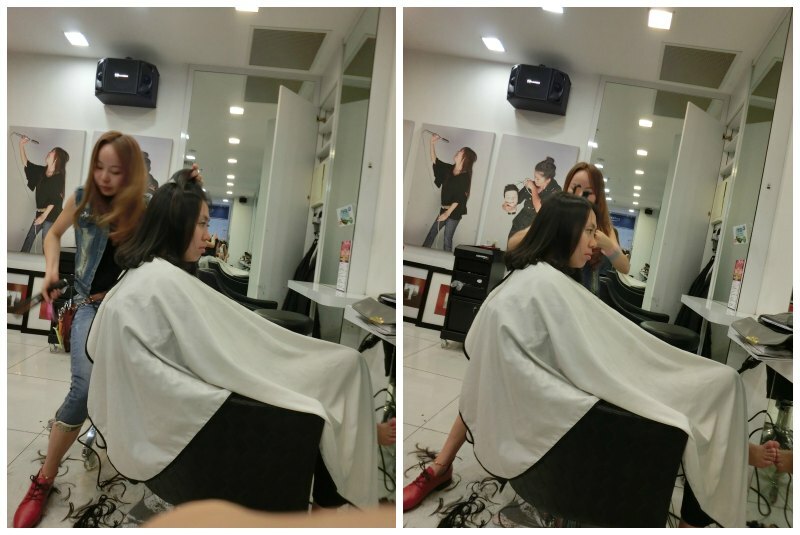 I usually come to DA Hairdressing to set my hair too. They are very fast, very professional and not pushy at all. 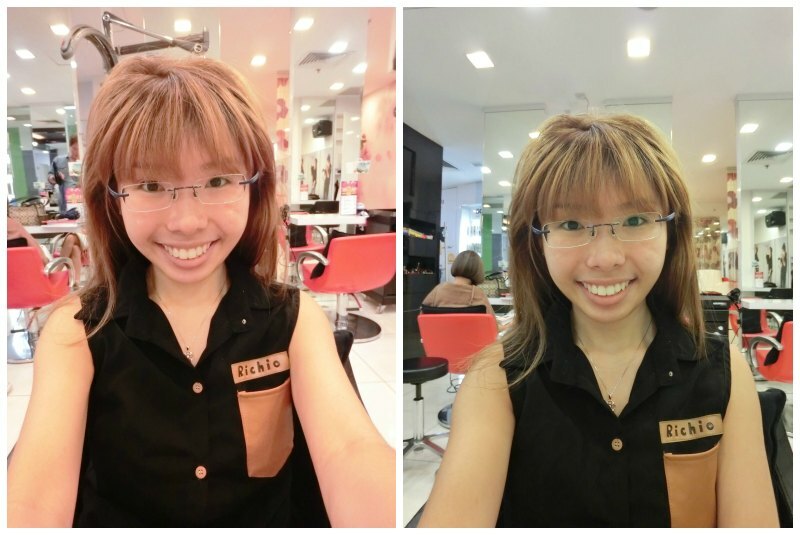 I enjoy my time at the salon and often has very nice chit chat session with my stylist! I love DA hairdressing and I will recommend all my friends to visit them too!